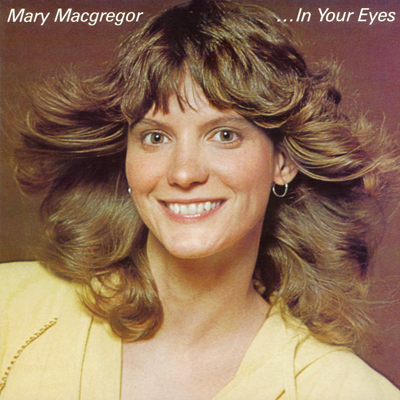 …In Your Eyes is Mary MacGregor’s second album. It is out of print and has never been issued on CD. Mary MacGregor (born May 6, 1948) is an American singer, best known for singing the 1976 song “Torn Between Two Lovers”, which topped the Billboard charts for two weeks. MacGregor was born in St. Paul, Minnesota, United States. She began studying piano at age six, and was singing with bands by the time she was a teenager. After attending the University of Minnesota, MacGregor began to tour the country with various acts and caught the attention of Peter Yarrow from Peter, Paul & Mary. She soon joined Yarrow, singing backup on a solo tour, and made an appearance on his Love Songs album.